Evidence of a slowdown is emerging as new rules make it tougher to get a mortgage and borrowing costs rise for the first time in almost a decade. That’s reducing the appeal of Toronto condos, whose average price now exceeds C$560,000 ($420,000). Projects are taking longer to sell and, in some areas, developers are using incentives to move units. 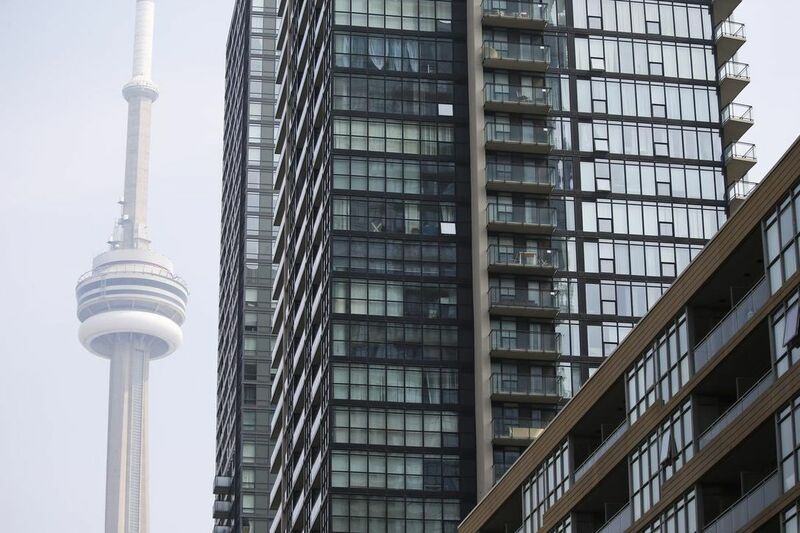 Christopher Bibby, a broker at RE/MAX Hallmark Bibby Group Realty, said demand is still “extremely active” for condos with “wow factor,” such as a one-bedroom unit near Bloor St. with unobstructed views of the water that sold for the list price of C$629,900 in less than 48 hours. Some developers are starting to give buyers longer than the usual six months to come up with a down payment, which usually ranges from 15 to 25 percent. “That really increases the affordability level for people who are saving and paying as they go,” said Gidwani. Unlike prices for detached homes, which are down almost 10 percent from the peak last year, condo prices have continued to climb, reaching a record in May. But the pace of appreciation has slowed. On a year-over-year basis, the 8.3 percent increase in May’s benchmark condo price was the smallest in almost two years while sales fell 16 percent from the same month the year before.